"Only God can make a tree" proclaimed Joyce Kilmer in the poem we all learned in grade school. But artists can come close to imitating the range of colors and textures in the brilliant autumnal display, even if they can't quite breathe life into their creations. 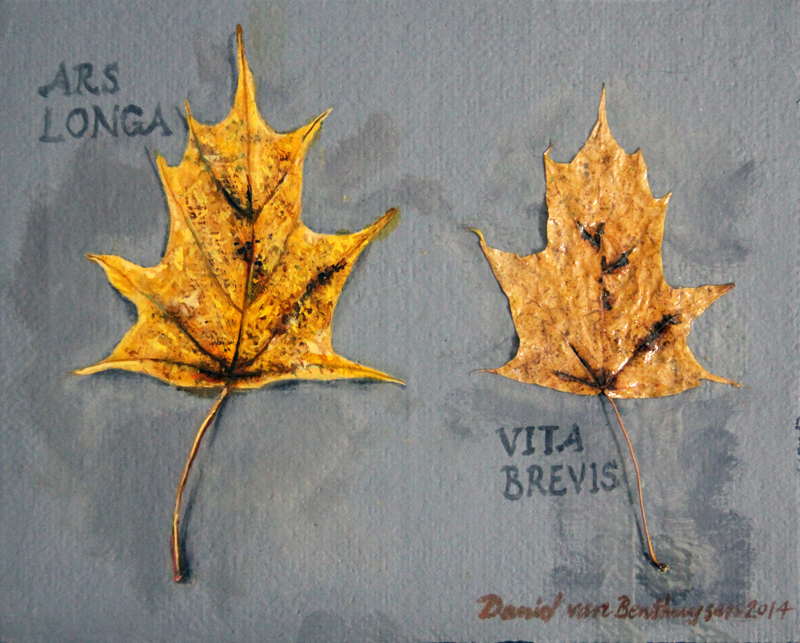 And even though in many cases I coated the leaves in alkyd, thereby slowing the deterioration, the change is inevitable. 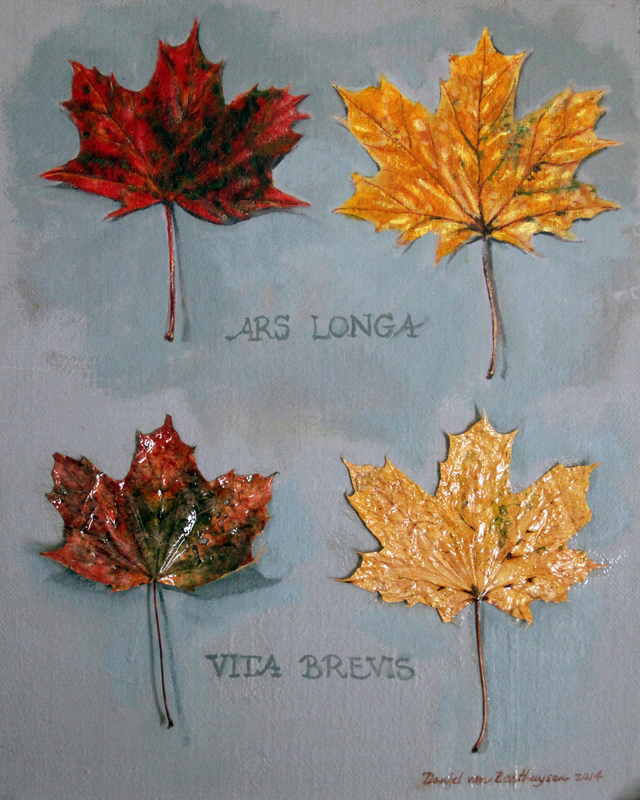 In the first example, at top, there was no attempt to preserve the leaf on the right (from a tulip tree) and so the leaf is already quite a dark brittle brown. But I like the idea that as time goes on the difference between the the real and the rendered will become more apparent. 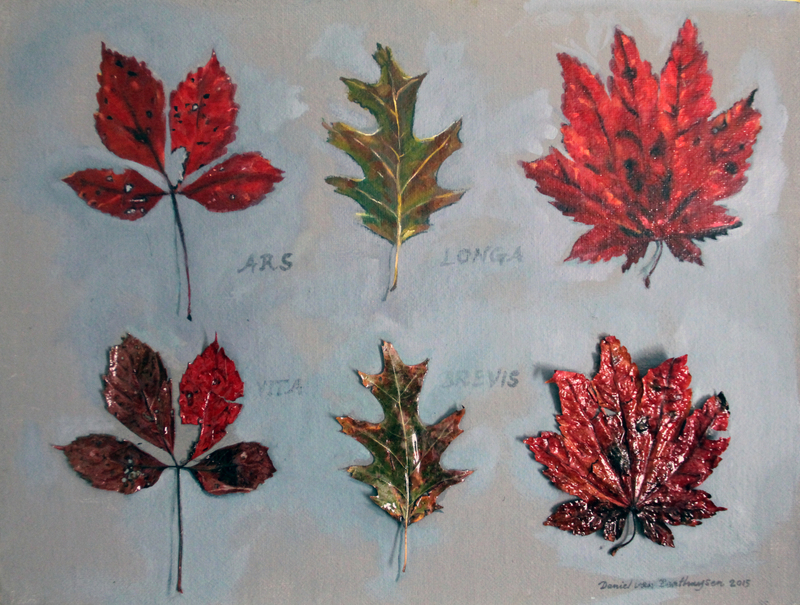 One problem with painting these was that as I worked the leaves continued to change and I tended to keep changing the painting as well to keep it accurate. I had to force myself to find a point at which to stop in nearly every case.